Allison’s journey into bodywork started when she became a Chiropractic Assistant in 2003. She was finally given language for what she had always innately known – the amazing ability of the body to help heal itself. As her interest in the healing health industry expanded, she began to take distance-learning courses on holistic health and spiritual care in 2006. 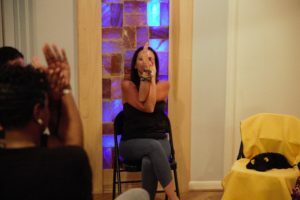 In 2010 she learned reiki and then became a Reiki Master/Teacher in 2011, co-running a Reiki-Training Clinic out of Sole Therapy in Peachtree City, GA. In 2012 she continued her studies and learned foot reflexology at Heal Center Atlanta and started providing reiki and foot reflexology to cancer patients at the Cancer Wellness Center of Piedmont Hospital in Fayetteville, Georgia. 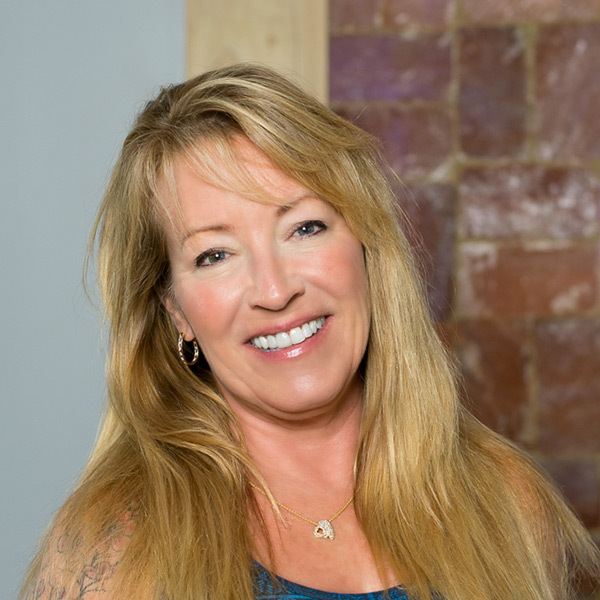 In 2013 she relocated to Virginia Beach and attended Cayce-Reilly School of Massotherapy to add massage therapy to her services, allowing her to work with the physical body in conjunction with the energetic body. 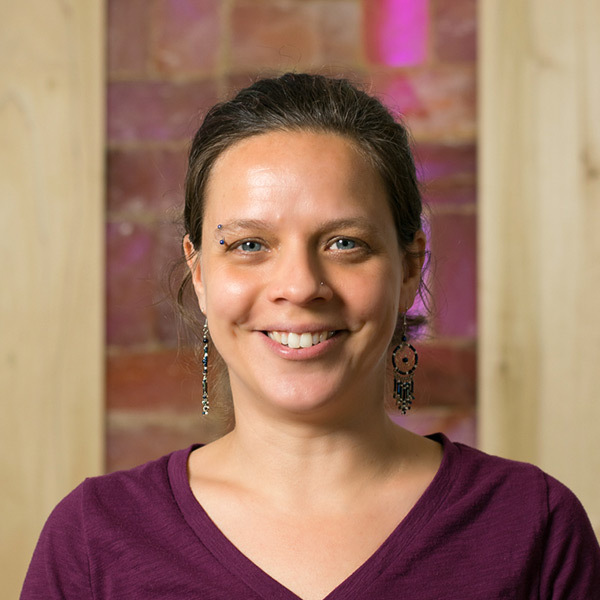 She most enjoys providing combination sessions, mixing the modalities she knows together for an optimal relaxing and healing experience. She looks forward to learning more modalities in the future to hone her craft. I became interested in Healing Arts, Reiki, Healing Touch, Acupuncture, and Lomi Lomi massage in the early 1980s as my grandmother had been a pioneer of knee replacement surgery. There were so many things I didn’t understand and was curious about. In 1998, I began my studies at the Advanced Fuller’s School of Massage in Virginia Beach, Virginia. Completing my hours to sit for the national board examination I studied Shiatsu, Thai yoga, lymphatic drainage, neuromuscular, and deep tissue massages. I am also very fond of practicing Ortobionomy, intending energy, and acupressure techniques. In 2004, I trained for certification in Ashiatsu Oriental Bar. This massage is done with the feet, while utilizing two parallel bars that are attached to the ceiling. This massage has been performed for centuries in Asia and I am a curious person by nature. The difference in the westernized method is that a cream is applied and deep Swedish techniques are utilized, with no direct pressure being placed on the spine. I do this massage with the client face down because I feel it is safest when applied to the larger muscles of the back. The result is a deeply relaxed feeling with lengthened musculature. Currently, I am nationally certified with 680 hours of study and working towards completing my 750 hours to sit for the board certified level exam. 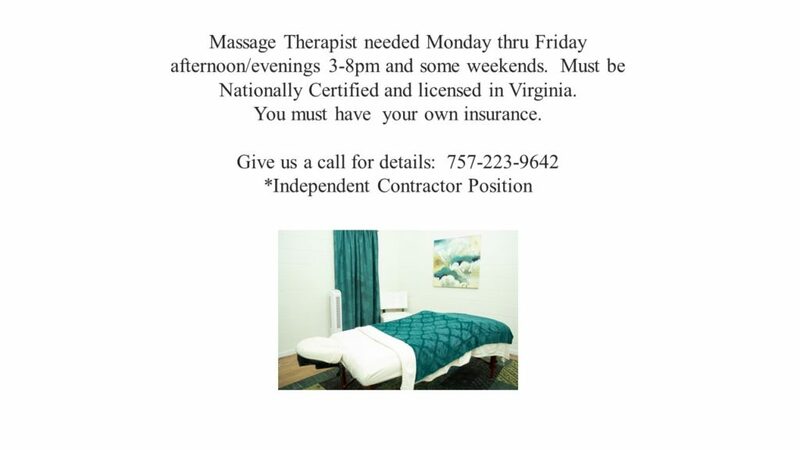 I am both a VA State Certified Massage Therapist and Nationally Certified Massage Therapist since 2004. I enjoyed bringing healing and relaxation to my clients. I currently work at the Newport News Family YMCA where I implemented a massage program . My calling is healing massage to enhance health, reduce stress and detoxify the body. I am also interested in energy healing and am a Reiki Level I Practitioner. I do wish to pursue Reiki and become a Reiki Master. 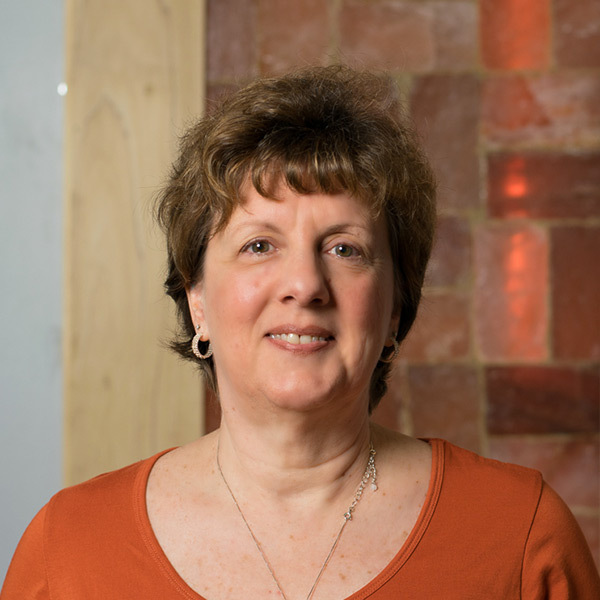 Pat's career started as a massage therapist in 1994 at the Riverside Wellness's Fit Stop. Pat and her husband along with their four children moved to New Mexico for two years with the military in 2004. Upon her husband's retirement from the Air Force, Pat and her family returned to Newport News in 2006, a place she comfortably calls home. 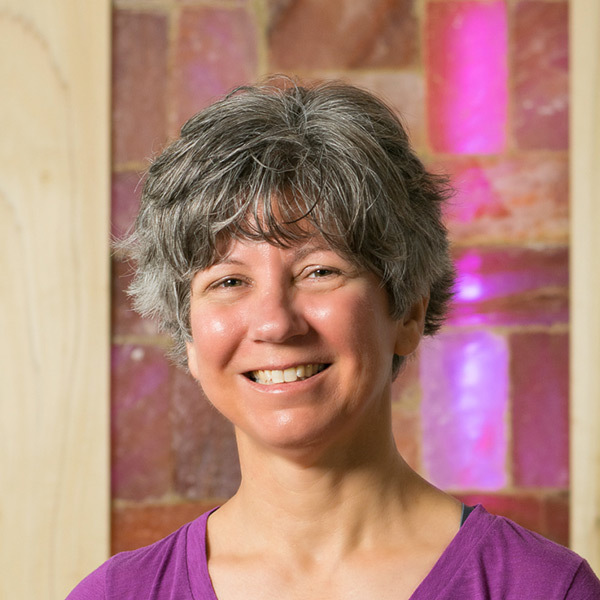 Pat has been participating in the yoga practices at the studio and happened upon a conversation noting that another massage therapist was needed to fill the needs of our clients. Pat's true calling is healing massage to enhance people's health and reduce stress. Her level of expertise is Swedish which is a relaxing and stress relieving massage to promote tension relief and relaxation. (Pat knew from childhood she was destined to be in the massage industry rubbing her mother's feet while she napped enjoying the reflexology before it was so popular!). We are thrilled Pat has joined our team and hope you'll be as pleased as we are to have her! 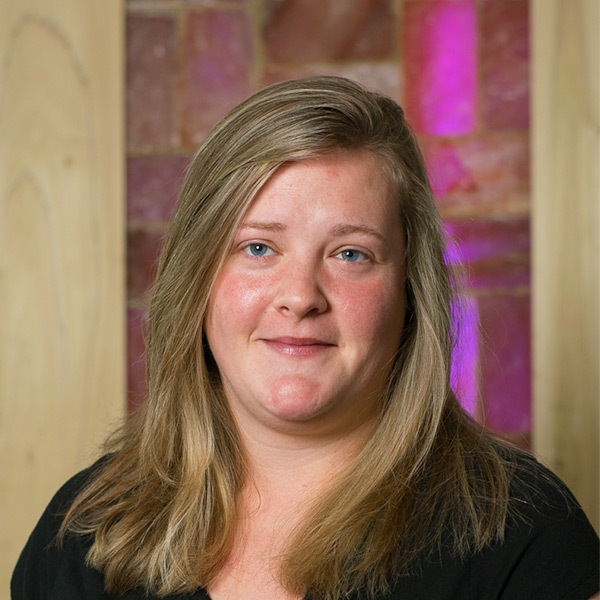 Sydney became a Certified Massage Therapist in 2014 after attending the Institute of Health and Healing in Newport News. Growing up on the Eastern Shore, Sydney has found relaxation within calm creeks and open fields and realizes the importance of being able to disconnect from everyday stress for our own well-being. She has since continued her education at Old Dominion University where she will graduate in May 2017 with a major in Exercise Science and a minor in Psychology. Sydney hopes to continue helping those with physical ailments, injuries, disabilities, and pain management needs.